I’m passionate about my patient’s goals, and utilizing functional medicine to improve or restore overall health and wellness, and help people look, feel and live better through the aging process. Caroline Lomboy, D.O. is an accomplished physician that has established a successful career in body sculpting and aesthetic medicine, as well as anti-aging preventative and regenerative medicine. Dr. Lomboy earned her Doctorate in Osteopathy at Des Moines University. Her post-doctoral training included a year of Osteopathic Internship and Internal Medicine residency at Wilson Memorial Medical Center in Johnson City, New York. She continued her internal medicine residency at Suncoast Hospital in Largo Florida. Dr. Lomboy also did a two-year family practice residency program at University General Hospital in Seminole, Florida. 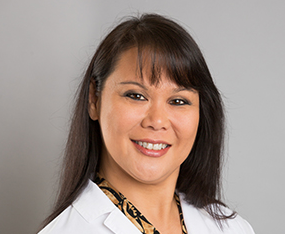 She is a Diplomate of the Osteopathic National Boards, Board Certified Medical Review Officer, Diplomat of the American Board of Anti-Aging/Regenerative Medicine, and has been awarded the Patient Choice Award and the Compassionate Doctor Award in both 2010 & 2011. Dr. Lomboy’s extensive body sculpting training includes working with plastic surgeons at the VASER Institute/Millard Plastic Surgery Center in Denver Colorado and has also trained with veteran plastic surgeons at the Plastic Surgery Center in Sarasota, Florida. Dr. Lomboy was the first physician in the Tampa Bay Area to perform SmartLipo (laser lipolysis) in conjunction with ultrasound assisted lipolysis. She was featured on ABC Action News, NBC Health News, and Daytime’s Aging Backwards. Dr. Lomboy is highly experienced in non-invasive facial rejuvenation using injectable facial fillers and neurotoxins such as Botox and Dysport, as well as in Laser and Radiofrequency Therapy for skin rejuvenation, Bio-identical Hormone Replacement Therapy, and Nutritional Medicine. She is a dedicated and goal-oriented individual who understands the everyday stressors of life that most individuals experience. That is why Dr. Lomboy is passionate about utilizing functional medicine through the combination of hormonal supplementation and nutraceutical therapy to build upon proper healthy lifestyle habits and improve or restore overall health and wellness. She balances her happy family life as a mother of 2 children and providing her patients with the optimal care they deserve. 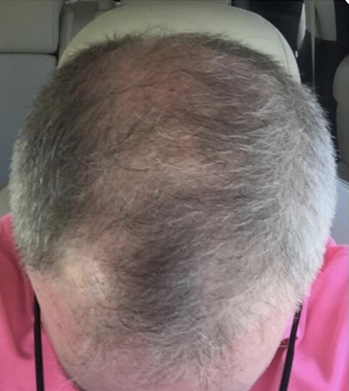 I'm shocked at how well this new stem cell injection therapy worked to restore my thinning hair! 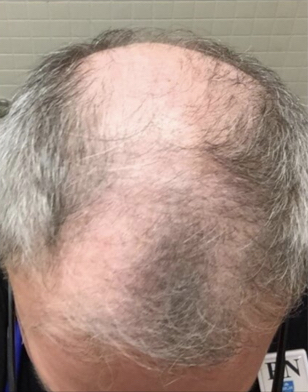 I've taken Propecia and have used minoxodil for years and neither has helped as much. Thank you Dr. Lomboy! I saw Dr. Lomboy to improve the look of my aging face and she did a miracle on me with PRP and filler injections, as well as botox. I look at least 15 years younger and I am so grateful! I highly recommend Dr. Lomboy and can't wait to see her again! Dr. C. Lomboy is amazing. I was very hesitant about having body contouring done since I have heard so many bad stories about liposuction. I found out Vaser is very different. Not only did she sculpt my double chin and jowels but the vaser tightened my skin so much it seems as though I have had a very natural lower facelift. I am so grateful to her. My next procedure is already scheduled. I only recommend Dr. L for this and will never go to anyone else. Are there other alternatives to Botox for treating my facial wrinkles? 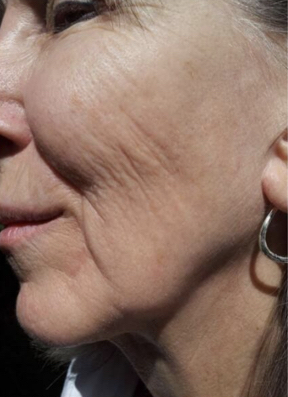 I have been using botox to treat my facial wrinkles for the last decade. However, over time I’ve needed more and more botox, and my wrinkles are deeper. How can I break this cycle? Hey Sarah, This is a common concern that I see with patients - traditional treatments such as Botox and fillers only work subdermally, meaning underneath the epidermis or actual skin that you can touch and see. As you age the skin will continue to become thinner and have more wrinkling because the Botox only works to freeze the muscles causing the wrinkling and is not doing anything to improve the actual quality of the skin. We use PRP, or Platelet Rich Plasma, which is derived from your blood and contains your body's own growth factors to regenerate collagen and improve skins appearance. With older patients, we recommend the use of stem cell or exosomes in conjunction with the PRP as the ability to regenerate with age is not quite as significant as when we were younger. Skin gradually improves in appearance and you will notice a significant visible improvement in fine lines, wrinkles, uneveness in complexion, darker under eyes, luminosity, and all over vibrancy of the skin. I’m considering CoolSulpting to remove my belly fat. Will this result in having dimpled skin like what can happen with liposuction? Hey Anita, The Coolsculpting technology is a great way to get rid of unwanted fat that is not responding well to diet and exercise. The dimpling from liposuction usually occurs, because the fat is removed immediately and the skin does not have the time to catch up. This can also occur if too much fat is removed in one treatment. We do not see this in Coolsculpting as the excretion of fat cells is gradual allowing the skin to keep up. 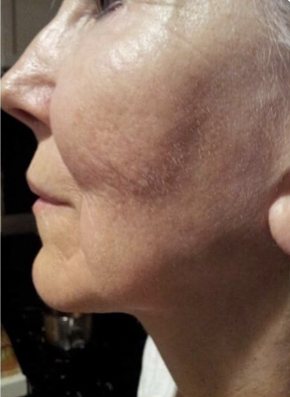 There are studies in progress looking into the skin tightening benefit that some see as a result of the cool technology as the data thus far suggests there may be a correlation. If skin laxity is a concern we also use a radio frequency, skin tightening technology called Viora to stimulate collagen and improve skins texture and appearance. At your age, I would not be concerned with skin laxity unless you already have a fair amount already in which case I would recommend the skin tightening in conjunction. What is the best body contouring treatment for removing body fat without surgery? Hey Jennifer, I would recommend our Coolsculpting technology to remove unwanted body fat without the surgery or downtime of liposuction. Instead of being physically removed, the fat cells are eliminated using Cryolipolisis which then allows the fat cells to die a natural cellular death and are slowly excreted through the lymphatic system. Patients begin to see the results 3 weeks after treatment with improvements continuing to improve for the next 3 months. Is it possible to prevent or treat hot flashes caused by Menopause? My hot flashes are interfering with my job as a corporate internal trainer. Each time I present before a class, I’m hindered and embarrassed by the sudden onset of hot flashes. Hey Anna, There are some things you can do to help hot flashes - getting proper sleep, exercise, stress management, and eating minimally processed or packaged foods without added sugars can all minimize the strength and frequency of hot flashes. As time progresses these symptoms can fade and for some women go away entirely, however, most will still have symptoms that persist into their 60s and 70s. When patients present with this type of concern I begin by doing a full hormone and wellness panel to determine any imbalances or deficiencies. I then rebalance their hormone levels using bio-identical hormone replacement therapy to alleviate these and other unwanted symptoms accompanied by menopause. I also make lifestyle recommendations like the aforementioned based off that patients specific symptoms and habits.